New Year 3 Day Detox! Which is best, Olive Oil or Sunflower Oil? I got asked a few days ago which was the best oil to use for cooking between sunflower and olive oil. There are a lot of healthy oils out there on the market like grapeseed oil, avocado oil, flaxseed oil (which I talk about in my book Healing Foods Helthy Foods) as well as sunflower and olive oils. I think between these two oils both have abundant health benefits, as the others do, it’s just down to personal choice, taste and use. Sunflower oil is classed as a vegetable oil while olive oil is classed as fruit oil. Having said that, let’s look at the health benefits of both and see if one outweighs the other, think that might be a good way to make a choice or not – could use both if you feel like it. Sunflower oil is extracted from the seeds which are enjoyed as a snack. The seeds are obtained from the brown hub in the centre of the flower which has yellow petals surrounding it. The oil provides a perfect balance of monounsaturated and polyunsaturated fatty acids, making it the perfect oil to reduce the levels of bad cholesterol. As such, whenever there is reference to heart disease, sunflower oil is always recommended by health experts. Sunflower oil acts as an antioxidant since it is rich in Vitamin E. This property of sunflower oil helps in neutralizing cancer-causing free radicals. Vitamin E in sunflower oil also prevents rheumatoid arthritis, asthma and colon cancer. Sunflower oil also helps the skin to retain its moisture. It helps in providing a protective barrier, resisting any kind of infection in pre-term infants. Studies have shown that infants receiving daily skin care using sunflower oil are less likely to develop any skin related infections. Sunflower oil is rich in certain phytochemicals such as choline and phenolic acid, which are beneficial heart. There are polyunsaturated and monounsaturated fats present in sunflower oil, along with vitamins, which makes it one of the healthiest oil to consume. Sunflower oil also helps in keeping the food fresh and healthy for a longer period of time. The oil has a high smoke point, which means it can be used at very high temperature. Sunflower oil is being used by the food manufacturers for reducing the level of trans-fat in bulk production of food. lower your risk of heart disease by reducing the total and LDL (‘bad’) cholesterol levels in the blood, making it a healthier choice. 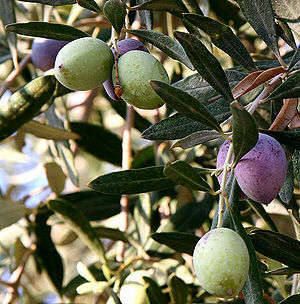 There are three types of olive oil available: extra virgin olive oil, virgin olive oil and plain olive oil. The acidity of the oil has to be no greater than 1% to be classified as extra virgin. Olive oil is rich in antioxidants like chlorophyll, carotenoids and vitamin E. scientists have found a compound in olive oil called oleuropein, which prevents the LDL cholesterol from oxidizing. It is this oxidized cholesterol that sticks to the walls of the arteries and forms plaque. Olive oil can significantly lower blood pressure and reduce the risk of heart attack. Oleic acid, a monounsaturated fatty acid found in olive oil, has been identified to have the ability to reduce the effect of an oncogene (a gene that will turn a host cell into a cancer cell). Olive oil helps protect colon cells from carcinogens. A study published by the Food Chemistry Toxicology suggests that the antioxidants in olive oil reduce the amount of carcinogens formed when meat is cooked. Studies have shown that diabetics can also obtain benefits from olive oil when combined with a low-fat, high carbohydrate diet. By adding olive oil to this type of diet, diabetics can control their blood sugar levels and lower the triglyceride level which puts them at risk of heart disease. The body uses the healthy fats in olive oil to produce natural anti-inflammatory agents which can help reduce the severity of both arthritis and asthma. Olive oil has a higher smoke point (can be used at high temperature) than virgin and extra virgin olive oils. Though virgin olive oil can be used in cooking, extra virgin olive oil is best used for salads, dressings and dips where it does not have to be heated. While sunflower oil boasts high vitamin E content, Olive Oil on the other hand is rich in chlorophyll, carotenoids and vitamin E contents. Both sunflower and olive oils have similar health benefits, but like I said earlier on, it just depends on which you prefer and what their uses are. Remember to store your oils especially extra virgin olive oils in a cool dark place, like your kitchen cupboards, away from light and heat. Oxygen promotes rancidity and, when exposed to light, air or high temperatures, oils go rancid. So keep your oil off of the window sills. 34 Responses to "Which is best, Olive Oil or Sunflower Oil?" Whenever wine comes up in a conversation or a thought, we often find ourselves thinking of where the wine came from. If you study the name of the wine, such as Burgundy or Champagne, you’ll find a log about the origin of the wine. Burgundy for instance, we all known comes from France, same as Burgundy. There are many wines out there – several of which come from France. something similar to what you’re talking about on my blog. Hungary is home to over 20 wine regions, fully of forests, vineyards, and orchards. With several different varieties of grapes to offer, the vineyards found in Hungary have flourished since the great Roman Times. The weather in Hungary is seasonal to say the least, with cold winters and extremely hot summers. This weather allows the soil in the country to be diverse, which allows wine makers to create a variety of quality wines. Aw, this was a really nice post. In thought I would like to put in writing like this additionally ? taking time and actual effort to make a very good article? however what can I say? I procrastinate alot and certainly not seem to get one thing done. Youre so cool! I dont suppose Ive learn anything like this before. So nice to find any individual with some original thoughts on this subject. realy thanks for starting this up. this website is something that is needed on the internet, somebody with slightly originality. useful job for bringing one thing new to the internet! Can I simply say what a reduction to seek out somebody who really is aware of what theyre speaking about on the internet. You definitely know how you can deliver a difficulty to gentle and make it important. Extra individuals need to learn this and perceive this aspect of the story. I cant imagine youre no more well-liked since you undoubtedly have the gift. I use olive oil for anything and everything except deep frying where I use only sunflower oil! Great, so I think it would be a good idea to alternate between both the oils , so as to enjoy the health benefits of both….thanks for the informative article. That’s the idea, do what feels good for you. Glad the article was of some help to you. I am still confused so what is healthier sunflower or olive oil because sunflower oil has more poly unsaturated molecules whilst olive is mono unsaturated. Lots of people say olive oil is healthy. I am so confused now! Okive oil I think is healthier depending on how you use it. Everything in moderation – sunflower oil is good for high heat cooking. The best thing is to try both out and see what works for you. I tend to use olive oil more and not much of it when cooking. I think everything in moderation, we are so bombarded with all sorts of nonsense you don’t know what to believe, so at the end of the day it is up to us to have some common sense and live a balanced life style! That was equally appealing likewise as insightful! Thanks for sharing your thoughts with us. I really like using olive oil for dressing my salad. It is yummy to taste. Ha you can’t compare Sunflower Oil to Olive Oil. Olive Oil >> Sunflower Oil and anyone thinking otherwise is just… wrong. Sunflower oil is bottom of the totem pole. “We believe that Betul Oil’s CSR activities achieve an integration of economic, environmental and social imperatives while simultaneously addressing shareholder expectations. They actually sell them mixed together now, which is also easier on the wallet. Thank you for your whole efforts on this site. Kate take interest in carrying out internet research and it’s really easy to understand why. Most of us notice all about the compelling medium you make priceless things through this website and therefore welcome contribution from people on this content and our girl is really discovering a whole lot. Enjoy the rest of the new year. Your conducting a splendid job. I am in my 50’s and have always used sunflower oil for cooking and baking. I recently had a health check up and all was well, with the fat contents in my blood and I had good fat in my body, so I have decided to use more of extra olive oil in my cooking too. To continue my good health until I am in my 100th if you know what I mean. This has been an educative information for me. Thank you for sharing your expertise.